Teeth cleaning is about more than removing stains, it’s about protecting your health. 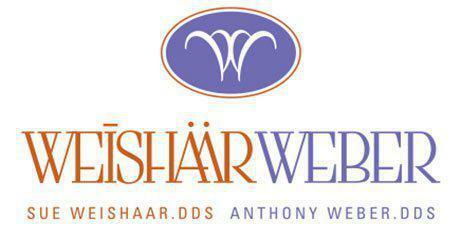 At Weishaar & Weber Dentistry, Dr. Anthony Weber, Dr. Sue Weishaar, and Dr. Lori Weber understand the impact oral health has on your overall health, and they provide comprehensive teeth cleanings and oral examinations. If you’re located in or near Spokane Valley, Washington, and are looking for a dentist who can care for the whole family, call the office today to book your initial consultation. You can also schedule your appointment online. Routine teeth cleanings are an essential part of both your oral and overall health. When bacteria causes oral infections, including tooth decay and gum disease, it impacts your whole body. Oral inflammation may even have a role in some conditions. When you have regular dental cleanings, your dentist monitors your oral health and watches for signs of infection and decay. By engaging in preventive care, your teeth, mouth, and body stay healthier. When you have your teeth cleaned, your dentist or hygienist performs a thorough examination. They clean your teeth, floss between them, and check for cavities and signs of gum diseases. Your doctor also looks for any abnormalities, both in your mouth and on your face. Your dentist may request X-rays or other medical imaging to determine teeth health. Can you improve at-home teeth cleaning? When you want the best at-home teeth cleaning, you must have the right tools. At Weishaar & Weber Dentistry, your dentist recommends the Sonicare Elite toothbrush system. This innovative brush removes over 80% of teeth stains caused by coffee, tea, or tobacco, restoring your teeth’s natural whiteness while gently cleaning your teeth and gums. When you want to deep clean at home, consider the Sonicare Airfloss. More efficient than traditional flossing, this device uses air and water to remove up to 99.9% of plaque and improves gum health in just two weeks. Regardless of what toothbrush you use, the dentists at Weishaar & Weber Dentistry recommend you brush twice a day, remembering to care for not only your teeth, but your gums, cheeks, and tongue as well. And floss at least once a day. If you’re looking for a dentist in the Spokane Valley area, contact the team with a reputation for comfortable and compassionate dental care. Call today to schedule your appointment or book online.